I chose to practice family medicine in order to have the opportunity to develop close and personal relationships with my patients. The continuity of care enables me to gleen insight into my patients' lives and the circumstances that may impact their overall health and well-being. My patients are my family members and deserve the best. My philosophy is for my patients to play an active role in their care, and as an MDVIP-affiliated physician, I am able to easily achieve this. Medicine is an art, and time and compassion cannot be overemphasized. Re Dr. Shannon Schrader, when he joined MDVIP, we joined MDVIP immediately so we could keep going to him. We'd pretty much follow him anywhere - he's a great doctor! I have seen Dr Schrader since 1996 and he is the reason I am still alive. I have seen Dr Schrader since 1996 and he is the reason I am still alive. Not only he is a great and compassionate doctor but he also has donated staff time and materials for me and 4 others to be in a 7 year study of an investigational drug. Dr. Schrader started as my personal physician and through the years has become a friend. Dr. Schrader started as my personal physician and through the years has become a friend. He defines great bed side manner. Throughout my numerous highs and lows over the decades, Dr. Schrader's steady hand has always been there for me. Having him in my life has been one of the most rewarding decisions I have made. Thank you!! 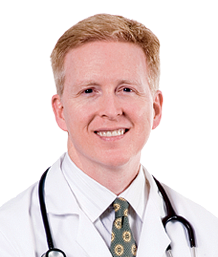 Dr. Schrader successfully combines the latest medical technology with a sense of humor and old-fashioned common sense. I have complete confidence in him. Dr Schrader has become something more.than.my doctor. Great family care for years. He has the best bedside manner. He is knowledgeable and very compassionate. Dr Schrader has been my doctor for sometime now. He is much more than just my doctor... He is a miracle worker and an angel. He even walked me down the isle in 2004. He goes over and beyond the call of duty. He is available at the drop of a hat. He has the best bedside manner. He is knowledgeable and very compassionate. He gets the job done and doesn't wait around. Thank you Shannon for partnering with me in my health. You rock! Dr Schrader and I go way back. Hes not only been doctor, but also my friend. I appreciate his hard work and dedication to me and his staff, who are awesome in their own right. Thank you Shannon for partnering with me in my health. You rock!